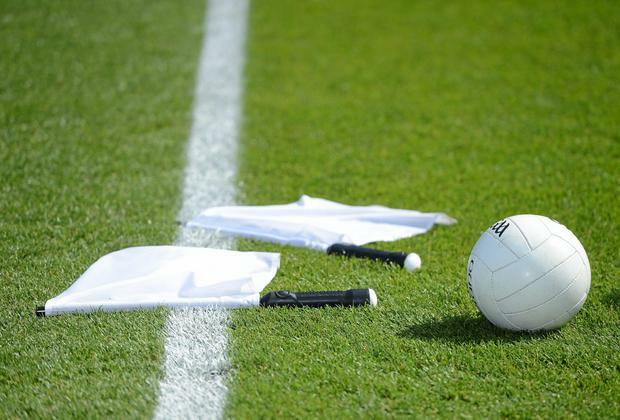 Westmeath ladies football manager Sean Finnegan has hit out at arrangements for his side's Lidl National League Division 1 fixture against champions Dublin over the weekend, stating the competition was "demeaned". The game went ahead in DCU's sportsgrounds in Glasnevin where Finnegan said the absence of a dug-out or shelter exposed substitutes and spectators to the adverse weather which took hold on Sunday afternoon. He said it wasn't good enough for a match of that stature and felt it again highlighted the chasm between the men's and ladies' games. "When we arrived we found the pitch had no dug-outs, no shelter, no stand, we had to cross a pitch to get to it," he explained to Midlands Radio Sport. "A nice crowd of people travelled up for it. They were standing at the side of a pitch huddled under umbrellas. It was quite miserable." He said they had to go looking for umbrellas for their substitutes to try to keep them dry but the weather was so bad that they were "frozen solid" as they stood and watched the game. "We had 15 substitutes, Dublin had about the same. It just isn't good enough for subs standing in driving wind, rain and snow with no shelter." He also questioned the "changing-rooms" they had beforehand, saying they weren't designed for teams of that size. "They weren't dressing-rooms. They were changing rooms. We had to get three of them and fit eight or 10 people into each. It was basic stuff." Finnegan, who took over the team this year having been involved with Kevin McStay's Roscommon backroom team for three years, said he had been advised that such shortfalls would crop up regularly. "I don't know the politics, I'm only new to this game. "I would imagine they were embarrassed. Their two previous home games against Donegal and Mayo were in Croke Park. This was the first outside of Croke Park. "Dublin isn't short of those top-class facilities. We were five minutes from Parnell Park, we drove by Abbotstown. "I felt it wasn't good enough and it has to be highlighted because the girls are giving as much time as the fellas. "It took the biscuit 'play there and get on with it'. Part of me says I should just get on with it but going home on the bus I felt I had to highlight it." He also criticised a €10 admission fee in light of the facilities for spectators who didn't have car parking access to the ground either, he pointed out. Daragh Small Sinead O'Sullivan has worn green and gold at Fitzgerald Stadium, but this weekend she will be lining out in blue in Killarney - against Kerry.